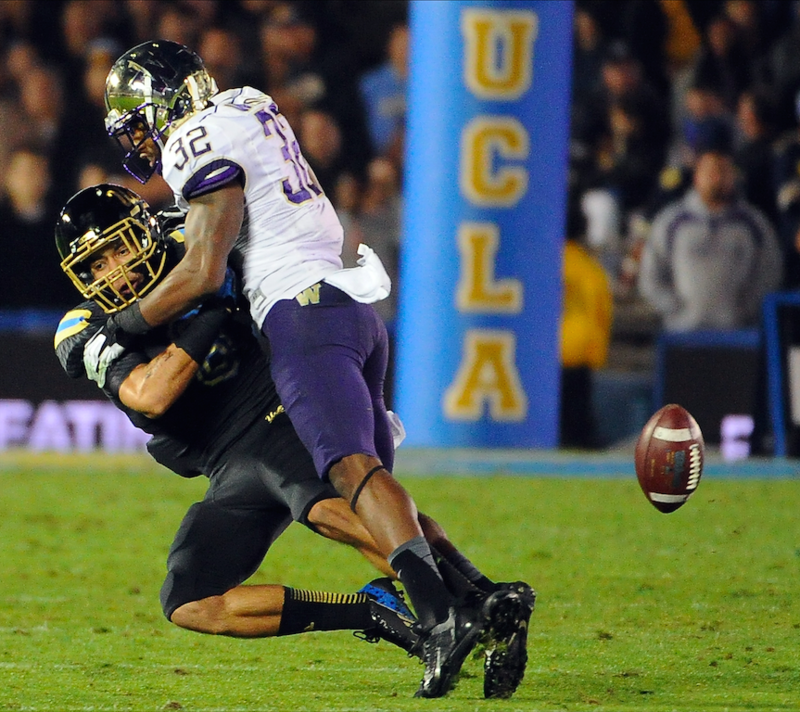 Cornerback Jalen Ortiz has decided to transfer out of UCLA, ending his Bruin career after limited action through two seasons. The 5-foot-9, 182-pound Phoenix-area native arrived in Los Angeles as a receiver, but switched to the defensive backfield as a sophomore. A former three-star recruit, Ortiz announced his decision Tuesday on Twitter. He appeared in 26 games, mostly on special teams. He had four catches for 27 yards in 2013, and made five tackles last fall playing mostly on special teams. SAN BERNARDINO — Early in Friday’s afternoon practice, Sean Covington launched his first punts wearing a UCLA jersey. There was one that arced high and back, landing some 60 yards away. Another swung short and hooked left. He’s still a freshman, after all. Ranked one of the top punters in the country, the St. Petersburg, Fla., native was the first member of the 2013 class to fax in his signed letter of intent on Feb. 6. He has the unenviable task of following Jeff Locke, one of the best punters in UCLA history and a recent fifth-round draft pick. Locke may be the most difficult player to replace for the Bruins, who are trying to better a 9-5 record amidst higher expectations and a tougher schedule. That Covington worked with Locke earlier this summer is a good start. The freshman said the two, roughly 90-minute sessions at UCLA were very productive. For one, they share a dominant foot. Covington acknowledged the pressure in following a two-time Ray Guy semifinalist and fifth-round draft pick, but said it won’t faze him. Still, there’s a long way for him to go before he can fill Locke’s shoes. » Priest Willis has played cornerback so far in San Bernardino, backing up his status as a top-100 recruit. During his recruitment, however, some thought the 6-foot-2 Arizona native would be better off at safety. Asked if he was glad Willis fit at corner, Mora began dropping his own credentials.